My progressive Gen-Y peer group is much less progressive than we’re perceived to be when it comes to the “F” word: feminism. 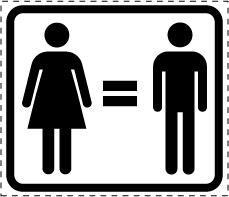 Almost every twenty-something (male and female) I’ve had the gender equality discussion with makes the statement, “I’m not a feminist, but I believe in women’s rights.” A crucial disconnect exists within this statement because while the underlying ideal of gender equality is supported, there is an aversion to being identified as a feminist. So what is a feminist? Is it a bra-burning, man-hating liberal woman? No. Even amongst the more radical women’s liberation groups of the 1960s and 1970s, this stereotype only applied to a minority of those fighting the good fight toward gender equality. And that’s what a feminist really is: a gender equality activist. I think part of what creates the fear of feminism in the minds of Gen-Yers is that many of us believe the fight is over – that American men and women are, in fact, equals. And there are a handful of statistics that support the notion that the gender gap has closed: more women are entering the work force than men, more women are getting higher education degrees, and more and more females are requiring an equal partnership in their marriage. Women seem to have more opportunity than ever before to take control of their financial, emotional, and overall well-being. But I would argue that the struggle for gender equality is not over. Despite these encouraging facts, the opposite side of the coin reveals that women still have lower salaries for the same work and position, only 2.4% of the Fortune 500 have female CEOs, and sexual harassment cases remain a topic of daily news coverage. Women have won many public policy battles, but in both the public and private arenas, equality has not been reached by all . . . or even most. Which is why the feminism movement needs to make a comeback – not as “post-feminism” or “third-wave feminism,” but straight-up FEMINISM. In order for there to be a comeback, we can’t be afraid of the title. Some groups of young people are leading the way for 21st century feminism by embracing not only the title, but the grassroots action similar to what captured attention for the movement decades ago. SlutWalks, initiated in Toronto, have taken the US by storm with anti-sexism rallies in many major cities including Los Angeles, Boston, and Chicago. This approach to further gender equality has been questioned due to its controversial nature of defending a woman’s right to dress how she pleases, but its controversial nature is part of what makes it a movement. And overall it’s a step in the right direction because it’s a reminder that gender equality has NOT been reached. So here’s my definition of modern-day feminism: it is an unending movement toward gender equality, not just politically, but socially in our everyday lives. Such equality requires being continually conscious of the gender gap and where it exists, especially in terms of stereotypes and biases in the workplace and at home. The importance of accepting the word “feminism” is to acknowledge that there is still progress to be made. And by accepting the word, you can support the movement. Spending time with my friends often involves a lunch date, shopping, seeing a new movie, or any combination of the above. Occasionally, when we’re feeling more ambitious, we might just go float the river in San Marcos or head to Lake Travis for the day. And that is the extent of my adventures. If one day someone suggested we go on an adventure trip backpacking through the jungles of South America or climbing a mountain in the Alps, I’d laugh and probably think they were getting ahead of themselves. But what I’ve recently realized is that adventure travel is an industry on the rise and that its growth is largely due to the participation of women. While a day at the spa is a wonderful activity for girlfriends, it doesn’t form or strengthen a bond quite like exciting shared experiences in Mother Nature. • Twenty-something year olds, myself included, may have a zest for life that encourages them to do and try as much as possible before they settle down with a family or have a career that does not allow for as much flexibility. I know that before I graduate college I want to travel abroad and have experiences in several different countries. You’re only young once, so why not take that opportunity to explore? • Women in their thirties and forties may have already raised children or established their careers and wish to do something for themselves now that they have the time or money. Now that you have the means, why wouldn’t you do something for yourself? You deserve some excitement and challenge in your life. • Women in their fifties and sixties may look back on their lives and realize they still have things that wish to achieve. 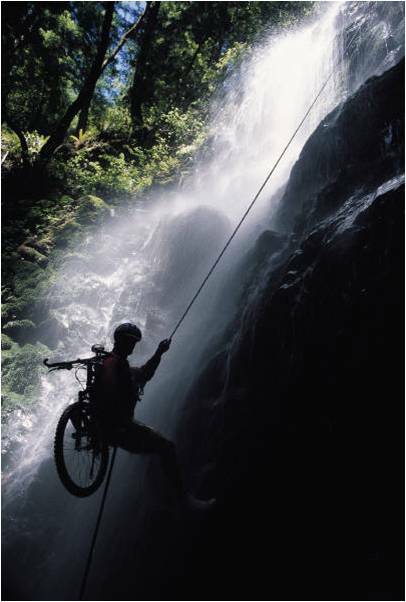 Life doesn’t stop at a certain age, and adventure is out there for everyone to experience. But whoever you are, male or female, consider the old cliché that you only live once. And if the urge strikes you to do something new or outside your comfort level, don’t immediately throw the idea out just because it may not seem completely feasible or realistic. It may be the best decision you’ll ever make. Ask a man a question, he’ll give you an answer. Ask a woman a question, she’ll give you a story. Men and women have different communication styles. Conventional wisdom says that men are considered direct speakers, while women are often thought of as indirect speakers. But to describe women and their speaking style as “indirect” is barely cracking the surface. I think it’s more accurate to say that women are storytellers. And what I mean by that is women are honest, authentic narrators of her life and her experiences. I recently made this realization while observing focus groups of women and then of men. During the discussions, the moderator asked both groups the same questions. What I heard from the men were concise replies that summed up their views in a few words. However, when listening to the women’s replies, it took longer for me to have that “aha” moment and truly “get” what she was telling us. Women give answers within the context of their lives, so what I was hearing were more detailed, relevant recollections of the women’s memories, experiences, and impressions. They weren’t just answering the moderator’s questions – they were sharing a little about their lives and point-of-view. They were revealing the framework of her experiences, what she thinks about a product (and sometimes what her best friend thinks too), and often coming up with solutions to certain issues they have identified. After many of the women left the discussion room that day, I felt like I knew her friends, her family, her life. Recognizing this difference begs the question: Are storytelling participants good or bad for consumer research? For the kind of work we do at OYM, I consider this a true gold mine! I admit that it requires more effort to be a good listener in order to “hear” what she is saying and distill the story into relevant (and concise) findings. But having access to the rich details of her life can be extremely valuable if you take the time to listen.